The silk skirt slip has become somewhat of a stylist and blogger go-to piece over the last few months and I finally got my hands on the Naomi skirt via RealisationPar after being re-stocked several times I got it! Despite the taxes and charges that come with it, I can say the skirt is an absolute dream. The silk is super delicate and I dread to iron it when I crease it, but it’s a great investment piece. It goes with absolutely everything and you can totally wear it from season to season. 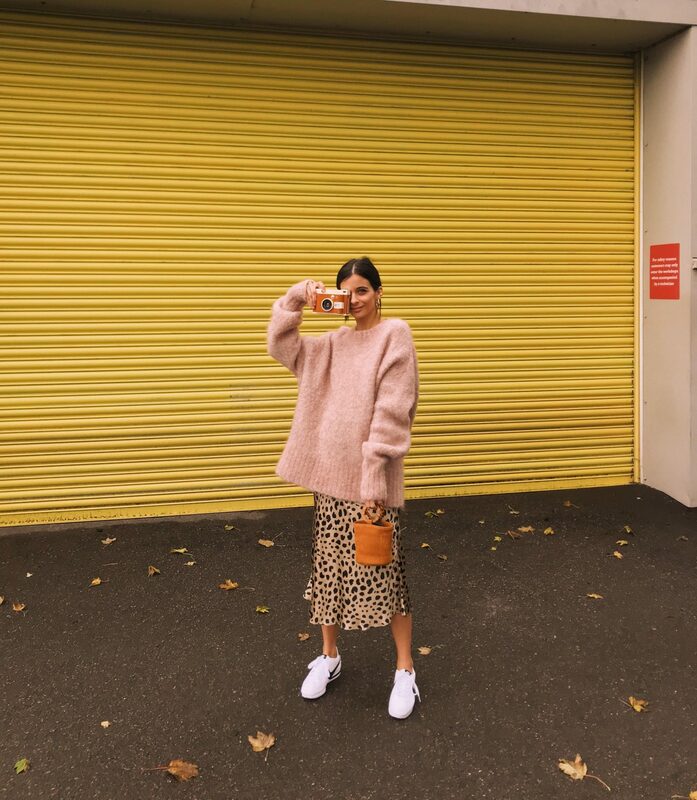 For the colder months that are coming up, I’ve teamed it with my favourite oversized jumper via WeekDay on Asos to play with proportion sizes and my new Nike Cortez (here) to give the look an effortless casual off-duty look. 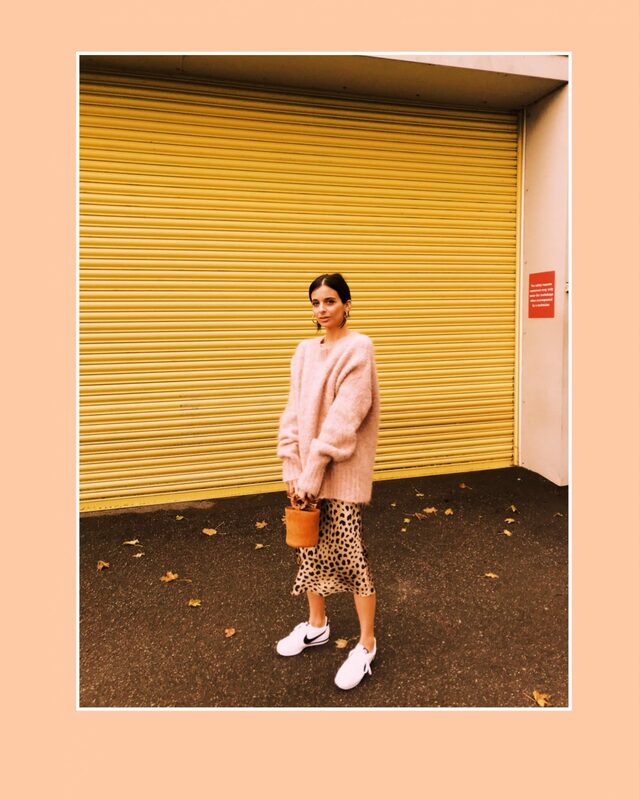 I love styling skirts with trainers, there’s something about this 90’s trend that seems to be popping up everywhere I look and not to mention its great for the running errands and mummy jobs I am forever doing. To pull and finish the look together I have finished the look off with my Astrid and Miyu hoops (here) and my favourite Simon Miller bag via Farfetch. 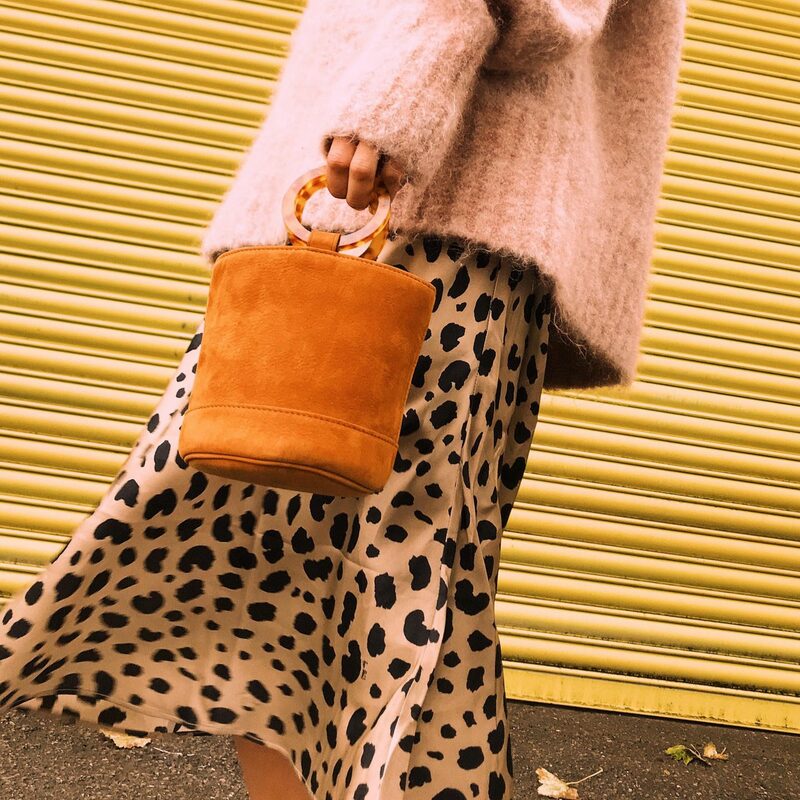 Since everyone has been shopping those Topshop rust colour slip skirts, thanks to Monikh Dale, slip silk skirts have been on a fashion frenzy hunt! So I’ve curated an edit with my favourite top five leopard print and colour print from the high street! I love the skirt! Do you think it is warm enough to wear during winter as well?